Have you experienced harassment or discrimination in the workplace? Are you being mistreated by your employer? Are you missing wages? Have you been fired without cause? Do you know your rights at work? 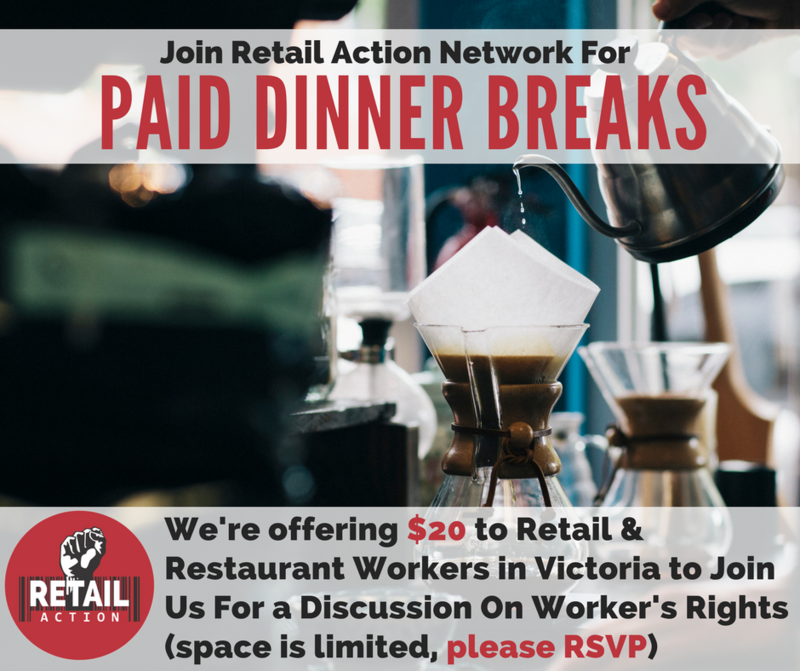 Those of you who are working, have worked, or may work in the retail, hospitality, or food service industries are invited to join us for a meal as we learn about workplace rights in BC! Worker’s rights advocates will be joining in the discussion to answer questions and provide advice surrounding your issues at work. 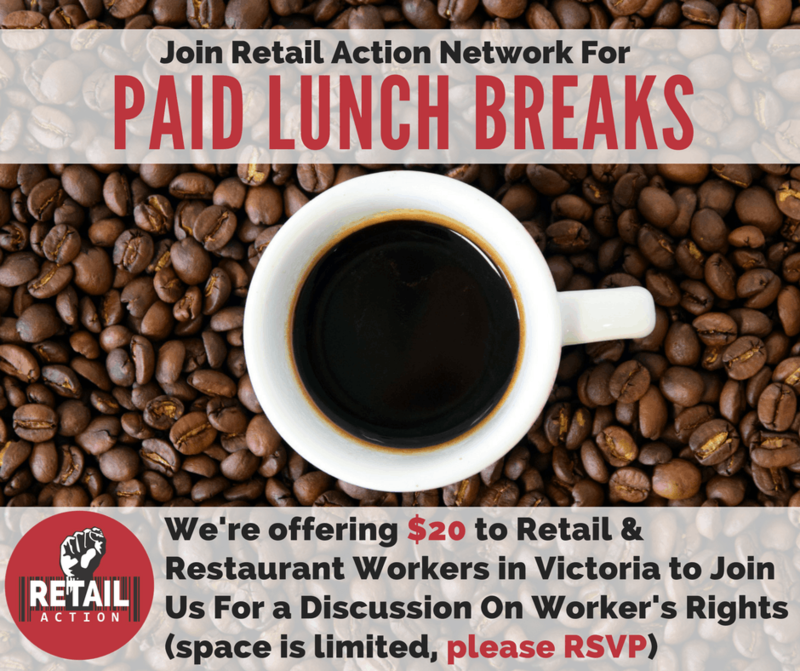 This event is hosted by the Retail Action Network UVic Club, part of a network of volunteers, workers, and labour activists fighting for workplace justice, increased wages, workplaces free from harassment and discrimination, and better working conditions overall for retail, hospitality and food-service workers. 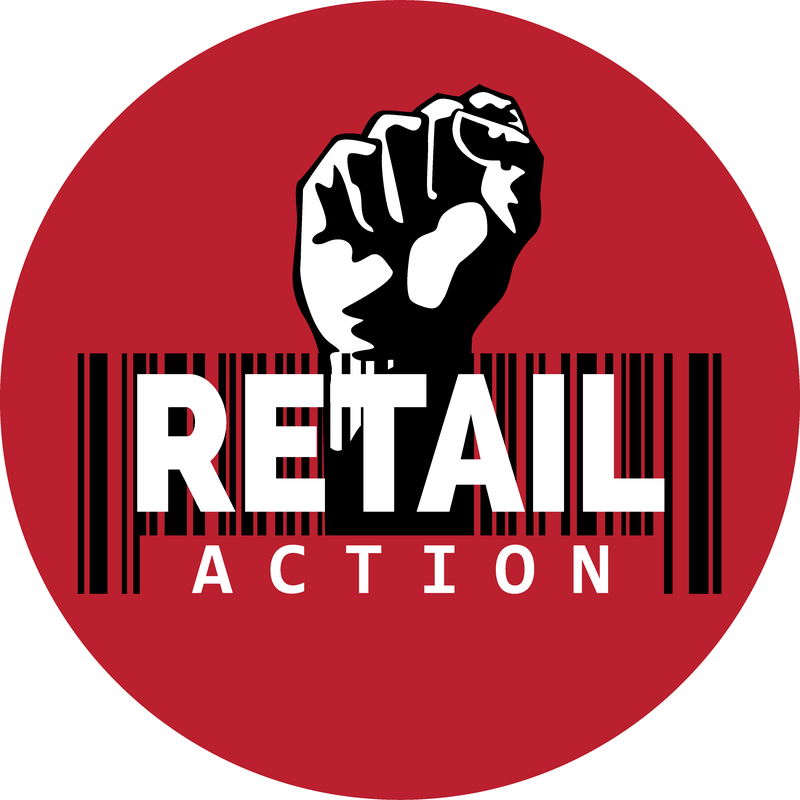 Join us in the fight for workplace justice! This is a free event; all are welcome to attend. Bus tickets available at the door. Food will be provided, with vegetarian and gluten-free options. This room is at ground level, and, while it is a tiered lecture hall, there are accessible seats in the first row. There is a single stall accessible and gender inclusive washroom in the building just across the hall. This is a scent-free event.